It’s a common problem with all of us to forget things. But it can become a major problem if you have forgotten passwords or any security keys. We all have gotten into situations where we cannot remember our google passwords or Facebook security answers. It can then become quite difficult to reset those passwords. In some cases, you might even have to take help with paid apps to unlock a password. This post is for users who have forgotten the security pattern to unlock their mobile. 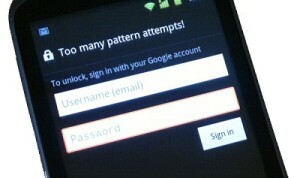 Hence, we will discuss some possible solutions to Unlock pattern Lock in an Android based Smartphone. It’s easy to forget a newly formed pattern in a Smartphone. Usually, most of us panics and try different patterns all at once. During this process, we actually fail to remember the real Pattern. That’s because we try to use all the circles in the pattern, hence creating a zig-zag formation of multiple lines. This post will help you in resetting the pattern lock. Follow the given steps carefully to easily Unlock pattern. First of all, try using different attempts till five combinations. After 5 attempts, a screen will appear showing two buttons. Next and Try Again. Click next and you will see options to unlock pattern Lock. One will prompt you to answer a security question while other will ask you for google accounts details. If you have provided any security question earlier, then you can easily answer it. 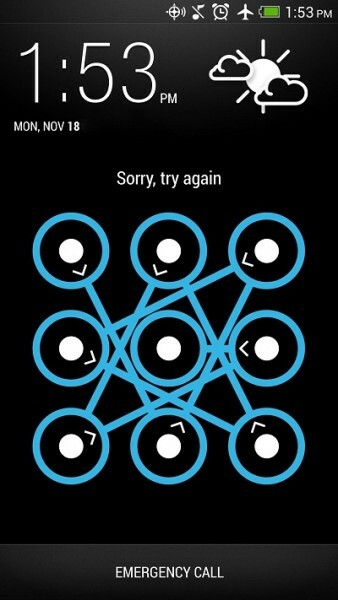 This will immediately unlock pattern Lock in your mobile. You can create a new pattern now. If you haven’t set any security question, the just click on Google account option and click next. Now provide your google account details and click on Sign In. If your credentials are correct, you will see a new screen prompting to create a new pattern. Congrats, you have successfully unlocked your pattern. Switch off your mobile directly by removing the battery. Now switch it on and wait for 2 seconds. Now press “Volume up + Home Key + Power Button” all at once. Hold it until your phone boots. If your mobile doesn’t have any home button, then just press Volume Up + Power button. Now a screen will appear with multiple options. Use Volume Up and Down key to scroll Up and Down. Now scroll down to “Reset Factory Settings” and click on it using Power Key. This will reset all your past data at once. Now scroll up or down to “Reboot System” and click on it. This will restart your smartphone and you will be greeted with a pattern-less screen. Note that this step will delete all your system data and apps. But your user files will not be deleted. We hope that you have successfully Unlocked the pattern of your Mobile. If you are still facing any problems then comment below. We will give you other helpful solutions. Do share this post about how to unlock pattern lock. Also, subscribe to our newsletter. Like our Facebook page here.